Venus is our closest neighbouring planet. But humans are unlikely to visit it in the foreseeable future due to its extreme environment. 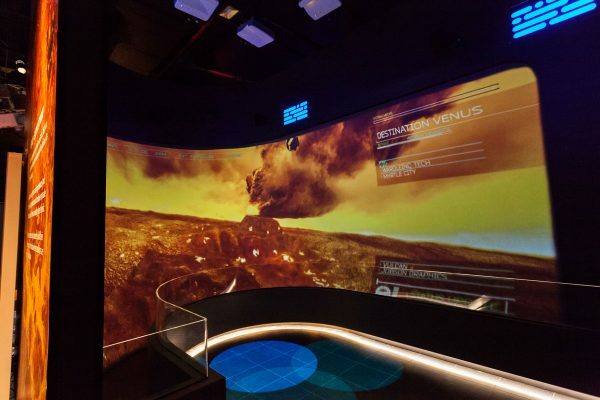 And yet, you can experience landing on Venus in an immersive installation at the National Space Center, the UK’s #1 space-based attraction, with over 300,000 visitors a year. 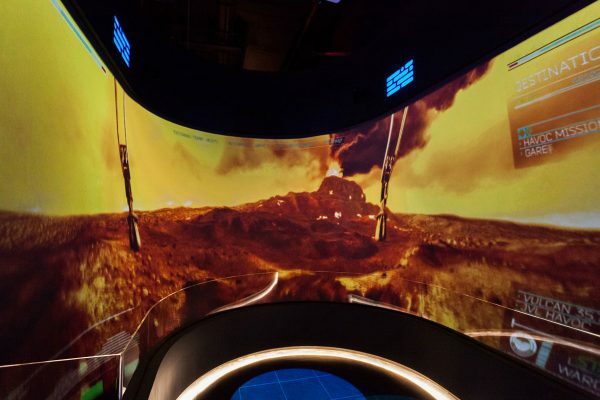 After visitors step inside the attraction, they find themselves in the cockpit of a lander module, surrounded by a U-shaped “glass” windshield. The floor shakes as the spacecraft experiences enormous pressure and hurricane winds while passing through Venus’s atmosphere. 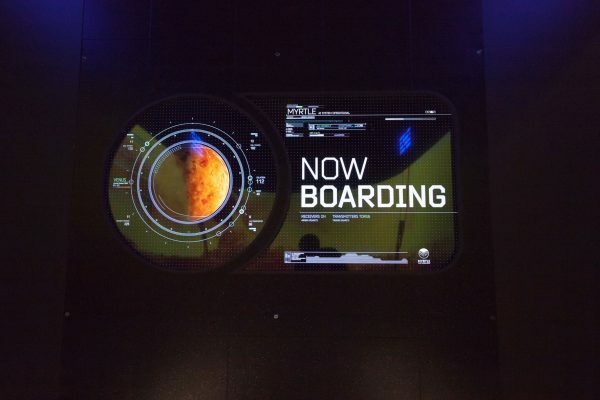 The attraction was developed by the NSC Creative team. 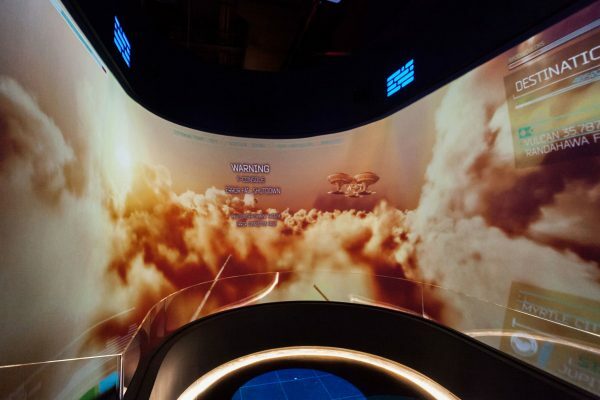 Front Pictures was chosen to deliver a technological solution for the immersive projection. Four Full HD Ultra Short Throw Optoma projectors are synchronized and auto-calibrated by the Screenberry media server to create a seamless panorama. 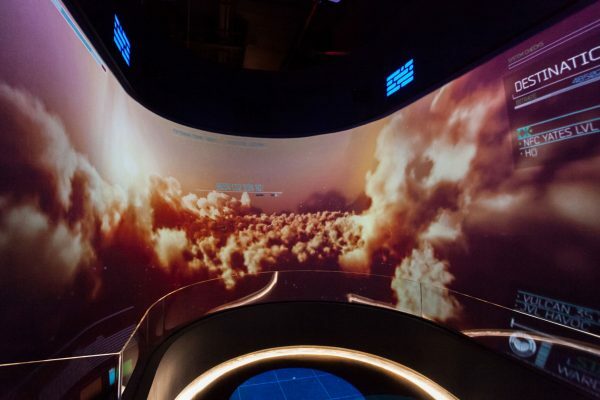 The video playback is synchronized with the floor vibration, LED lights, and a 4K monitor that displays the onboard records. All items on this website are copyrighted by LLC "Front Pictures". 2017, all rights reserved. All trademarks are property of respective owners.